I was sick, but now I’m back and I’M BETTER. Ready to do my first DIY with you guys! 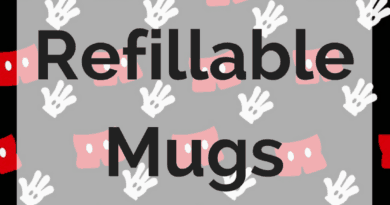 Super excited to talk about the Disney Savings Jar and what we can do with it! Why does it rock? Not only are they fun to make and really pretty to look at, but they get the entire family involved! It’s sitting there and it’s constantly reminding you that it’s time to save for Disney. As a family, we need to do everything we can to make this trip possible and great. I was able to get everything I needed to complete this jar for $7. I had none of the supplies, except scissors. Gather your supplies where you plan to start and complete your project. Cut two pieces of tablecloth that are the same size and will fit around the jar. Place the jar on the tablecloth and tape one end of the two tablecloths to the jar. Measure 3-4 places to line with glue. Roll the tablecloth tightly around the jar, making sure the glue sticks to the right places. Glue the end to finish. Cut the excess off the top right where the top will finish screwing. Tighten the tablecloth around the top edge and use clear tape as needed. Line with decorative tape of your choice. Cut excess off of the bottom. Close up like a Christmas gift and use glue to secure in place. Line the bottom edge with decorative tape. Add some letters stating “Disney Fund”, “Disney Savings Jar” or anything you else you prefer. Add some fun stuff like stickers to make it just right. Check out the video I made below and let me know if you try this out! When I was a kid, my parents got a HUGE jar (the kind that dill pickes used to come in for restaurant supply) and any time anyone came home, we were to empty our change into the jar. This was before debit cards, obviously, so it really racked up fast! We loved counting the money and figuring out how far away we were from our trip! I hope that you are feeling much better now! Glad you shared this fun DIY! What a motivating way to get the entire family excited about saving for a really fabulous reward! This is a great idea! We are so very far away from Disney (living out in Missouri). However, this would be great to do with our local amusement park. I need to get this started and start putting our change from our change jar to a good purpose. It would be fun to get the kids in on decorating the jar too. Okay, so going to Disney has always been a dream of mine but can be pretty expensive for a family of 4 who doesn’t even have ANY passports. I’m definitely going to be making one of these. 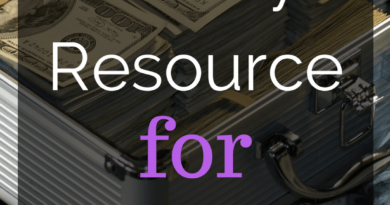 That project has so many advantages besides being a cute way to store extra money. It teaches your kids that they need to save for things they want and think are worthwhile and they will get the satisfaction of using the money they saved. I really couldn’t agree more! Wow, that’s so easy to make! I could hand if off to my kids and not help. lol. 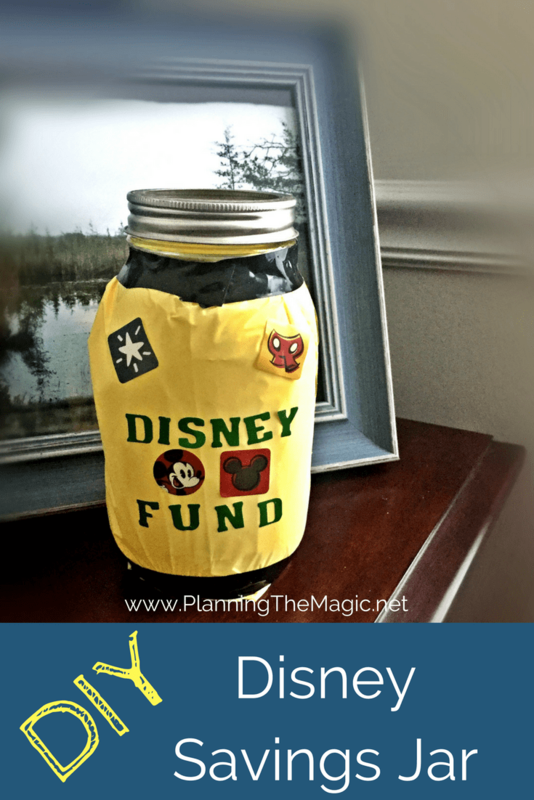 I love the idea of having a WDW savings jar! A great visual motivator! Glad you’re feeling better! This is a lovely jar and would definitely help my little one save up! I am sure he would love Disney! how cute! I need to decorate our jar. We have one of those giant pickle jars that we use for change, but it is not very pretty to look at. That’s such a cute idea! I would love to visit Walt Disney World again soon. I always look forward to our next Disney trip, but of course it involves saving a lot as well so that we can maximize our experience more! I think it’s awesome to have a savings jar dedicated to Disney! How fun! We have a Disney jar where we keep our loose change. It is just a plain jar though and nothing this cool or festive. We love Disney World and save our change for souvenirs. 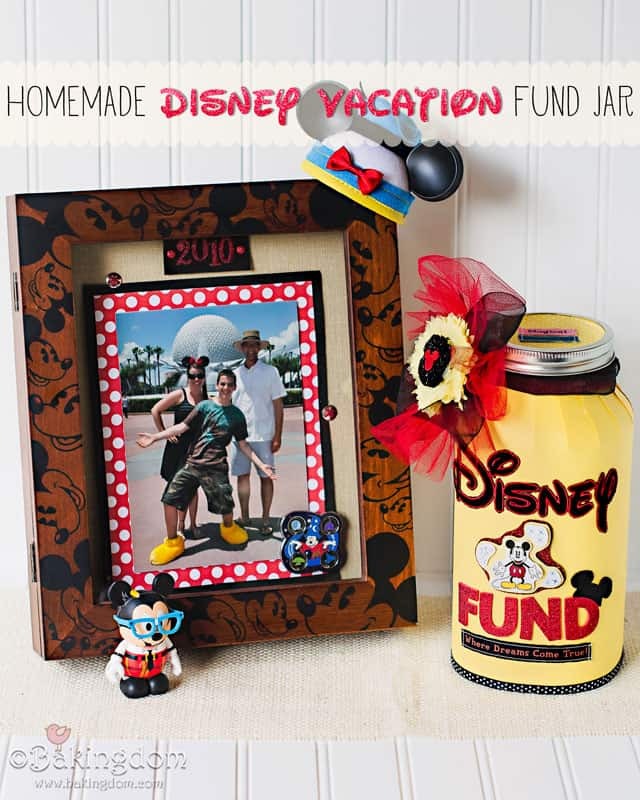 Oh I would love to have the kids do this so they could get excited about helping us save for our Disney vacation!!! So cute! 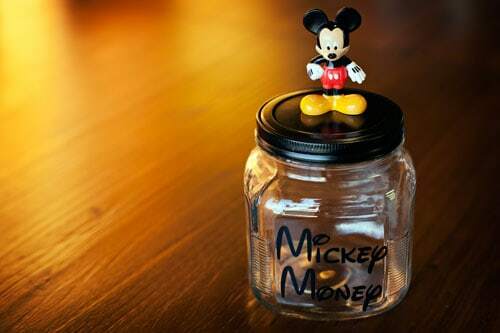 Disney savings jar sounds amazing! I probably need to start doing this since I can’t stop thinking of going back to Disney soon! Thanks for sharing this post. I love this idea for saving money! That magic isn’t free! This would be so much fun to make with my 3 year old and he is learning the value of saving money right now. That is a wonderful idea. We are currently trying to save up for a trip to Disney next spring. This would be a great way for us to save our change. What a cute family project! 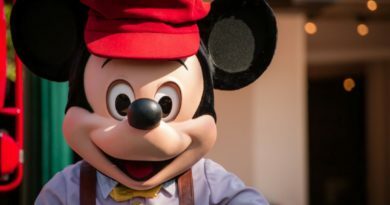 We visit Disneyland often and should do more to save between road trips! I love this idea. Seeing a jar lying around the house is a great reminder of what you’re working towards. Plus, it helps get the entire family involved. Cute idea! I think that I would like to do this for a little extra spending cash at Disney. It would really help with all those costs in the park.